This little light is a doozy!! You know the saying “good things come in small packages”? Well this pocket sized light cannon proves that to be true without a doubt! At a modest 5.2 inches in length, this miracle of modern technology is capable of dispensing 320 lumens at max output! You want to know how bright that is? Think spotlight at a rock concert, but coming from the palm of your hand. At it’s highest output setting the G2X has roughly 2.5 hours of runtime. If you utilize the lower output settings, the runtime is substantially longer. 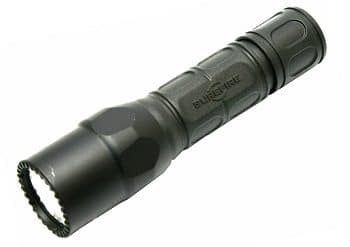 The G2X Tactical is made from Surefire’s patented Nitrolon polycarbonate composite, giving it both lightweight and extreme durability. When you absolutely, positively have to see what in the heck is going on around you, this is the light for you. 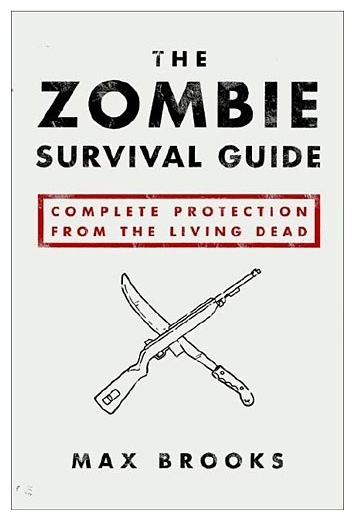 One thing to consider during an all out zombie attack is that it may be convenient to have both hands free, but to still have light shining in the direction of whatever is coming at you. While it isn’t easy to pull this off with a traditional flashlight, a good headlamp will fit the bill quite nicely. This lightweight and adjustable headlamp is a powerful tool to add to your survival kit. It offers multiple settings from broad floodlight to intensely focused beam. The coolest thing about this light is that it comes with interchangeable filters in different colors. These filters allow for excellent illumination without effecting your eyes adjustment to the dark. You never know when you’re going to need to turn off your light and make a quick escape and the Tactikka allows you to easily do just that. The Tactikka has 3 brightness settings as well as a strobe setting that can be used as an emergency signal. With a maximum output of 140 lumens, the Tactikka Plus RGB is the only headlamp you’ll ever need. So strap this thing around your brainpan and keep the zombies out of it!